That gadget will be a smartphone. Just a week after taking over the Coolpad’s chairman, LeEco CEO Jia Yueting is ready with an another smartphone gadget in the market. The device is named as LeEcoCoolpad 1 Dual. The name compromises the names of the both the companies. Over the specs, Coolpad 1 Dual comes with 5.5 inch IPS display with 1080p resolution with a high pixel density(more than 400 ppi). The screen is powered by a 450 nit brightness and 72 percent NTSC color gamut. 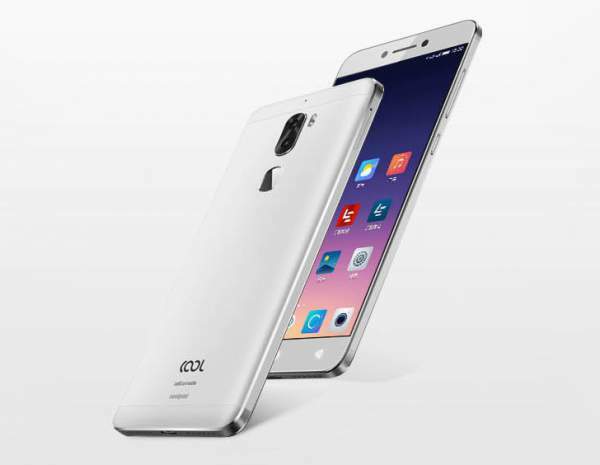 The device is powered by The Snapdragon 652 chipset (octa-core processor)with (4 x 1.2 GHz Cortex A53 and 4 x 1.8 GHz Cortex A72 CPU. This chipset is coupled with Adreno 510 GPU. It was rumored that the company might power the device with either 3 GB or 4 GB RAM. But the real news is that the company is launching the device in three different specifications. The device will be coming in 3 GB RAM and 32 GB internal memory variant. The other variant is 4 GB RAM and 32 GB internal memory, and the last variant has 4 GB RAM and 64 GB internal memory. The device comes with a 13-megapixels primary camera with an aperture of f/2.0, phase detection auto focus (PDAF), 4k video recording, 720p slow motion video recording and dual tone LED flash. On the front side, there is an 8-megapixels camera with an aperture of f/2.2 and an 80-degree wide angle lens. The camera provides a classy and amazing experience to the customers. Coolpad 1 Dual is powered by a 4,060 mAh battery. The device also supports fast charge technology which is quite normal in this age devices. Other common features like WiFi 802.11 ac/a/c/g/n, Bluetooth v4.1, GPS. USB type-C port is also available on the device. The phone measures 152 x 74.8 x 8.2 mm and weighs about 167 grams. The company is availing the product in Gold, Silver and Rose Gold color variants. The phone is available for pre-orders and will go on the sale from 24 August this year. You can pre-order the device on the website LeMall and Jd.com. The 3GB/ 32 GB variant is priced at CNY 1,099 (Rs. 11,100), The 4GB/ 32 GB variant is priced at CNY 1,499 (Rs. 15,100) and the 4 GB/ 64 GB variant is priced at CNY 1,699 (Rs. 17,100). Hope you have got appropriate information. For more information, stay tuned and do subscribe to the website.